FRANCE 24 – She made a dazzling Hollywood début as a flame-haired femme fatale in “Quantum of Solace”. 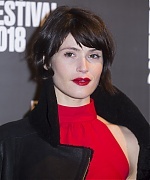 Since then Gemma Arterton has played a heroine of English literature, fresh-faced ingénue Gemma Bovery and everyone’s favourite girl next door, Tamara Drewe. 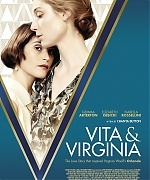 Now the British actress takes on the role of the most loved woman in the world in Radu Mihaileanu’s “The History of Love”. She sat down with Olivia Salazar-Winspear to talk about love letters, learning languages and feminism in the film industry. Interview of some time ago, taken during this year’s TIFF! 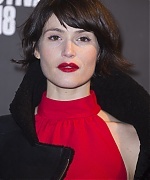 That Gemma and the cast of Their Finest attended to promote the movie. Enjoy!